Many runners are always pushing themselves to the edge in order to get faster, run longer, or meet some other goal. Making sure we recover well and don’t get injured is key to making sure we get the most out of our training. There are a lot of injury prevention products out there, but I wanted to make a list of my top five must-have products. There are many kinds of foam rollers out there, some cheaper and made of foam only (affiliate link) and some with added bells and whistles. My personal favorite is The Grid (affiliate link). I’ve had mine for three years now and it still looks and works like it’s brand new. The PVC interior also allows me to get a little deeper with my self massaging. Another similar product would be The Stick (affiliate link), which is a little more portable than a foam roller. I love compression socks because you can use them both during a run to help your legs feel less tired or you can put on a pair after a hard run to help you with recovery. The good ones have graduated compression (like from CEP or PRO Compression), with more squeeze down by the ankles and less near the knee. Graduated compression helps with blood return, which is helping your body remove waste products from your tired legs. Rolling out the bottoms of your achy runner’s feet can help them be less sore. You can go simple with a golf ball or a frozen bottle of water, or get fancy with something like a Foot Log or Foot Rubz (affiliate links). I personally prefer the latter two because I think they massage and stimulate blood flow a little better, but that’s just my opinion. An ice pack could be simple as a bag of frozen vegetables or a plastic bag filled with ice and a little water, or you could get fancy and buy one that’s made for icing body parts. Just don’t put ice packs that are meant for cooling food or other products directly on the skin since they can be too cold. It’s good to have something on hand in case you have any sore areas that could use a little ice therapy. (Note: I’m not a doctor–please see a medical professional if you think you’re injured!) Some runners also like taking ice baths for recovery after a hard run, which may or may not be effective. What are your favorite recovery products? How often do you do self massage? Fancy ice pack or frozen veggies? I don’t have a foot massager, but I have the other three. The foam roller is my favorite, which I recently started using after not using it for a long, long time. A water bottle or some other small ball works well, too, and is easy to find. 🙂 I took a long break from my foam roller, too, and I need to be even better about using it! Love it love it!! I need that foot massager (actually I just want it because it’s colorful!! haha) My foam roller is my best friend. My foam roller is my BFF right now, too. I feel like I should name it and give it gifts on holidays. I used to use frozen peas all the time to recover from injuries. My boyfriend thinks it is terrible, though, so I’ve had to switch to normal ice packs. On the plus side, I got one that actually fastens around my knee, so I can still move around while using it. I’m a big fan of all four, but I usually only do the top three regularly. With added miles, I’ve found respecting recovery to be much more important. I can imagine! 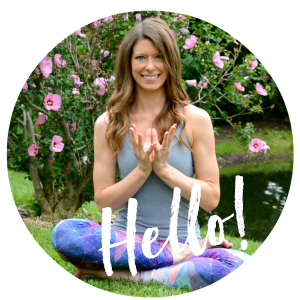 I know you’ve been enjoying Sage Rountree’s Yoga for Athlete’s book, so check out her Athlete’s Guide to Recovery book if you haven’t already. It’s a great resource! I foam roll every day–and stretch. Also important to recovery refueling, and rehydrating. I also am a big fan of cool down walks, after every run I walk the pups, I really think it makes me recover faster! Post-run walks sound like a great idea. I know my legs feel better when I’m active during the day after long or hard runs. 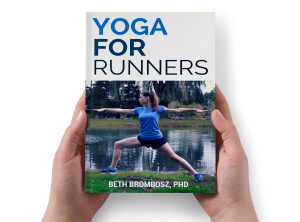 I hope I don’t jinx myself by writing this, but I used to use a running recovery tool or two until I determined what I really needed was to 1) Wear better fitting shoes 2) Strength train so opposing running muscles are strong 3) Don’t over-stride. Now, I am mostly injury and pain-free after running and only wear a Strassburg sock at night if my PF flares up. Again, I hope I am not jinxing myself! I was looking for peas for the photo but I didn’t have any!